Webinar: What you need to know about competition law as a Volunteer? For all members (especially volunteers) of the IFoA involved in member led research, or who are thinking of getting involved, it is vital that you are aware of the importance and issues involved in complying with Competition Law. 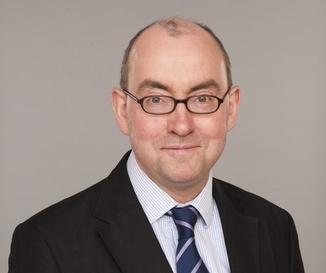 To assist our members we have commissioned Simon Stokes, Partner in Blake Morgan, London, to create a competition law decision tree and guidance note which he will present with Sarah Mathieson, IFoA’s Head of Research and Knowledge, and Jill Chipchase, IFoA’s Head of Professional Communities, as part of this one hour professional skills training webinar. Please note there has been a delay to the start time due to a fire alarm at Holborn Gate and all staff and speakers being evacuated. The webinar will begin at 10am. The webinar will be recorded and should be on the VLE this evening if you are unable to log in. The live broadcast will start at 10.00 BST. Please provide your email address when prompted so we can see who has watched and for follow up/feedback after the event. You can also download the joining instructions, which will provide you with the links for testing. We would encourage you to view the decision tree and read the guidance note before joining the webinar. View these resources in our IFoA Information Pack Competition Law Guidance. During this one hour interactive webinar we will talk members through these resources and share and discuss scenarios which will draw out and highlight the ethical questions professionals may face in relation to competition law issues. The aim is to bring this to life and to answer members’ questions. If you wish to submit questions in advance please visit the book now link. "A noted authority on IP rights with respect to information technology and software licensing. Clients appreciated his swift turnaround and clear, considered advice." Simon drafts and negotiates technology and outsourcing contracts for suppliers and end users, and specialises in advising on non-contentious intellectual property. He advises banks, publishers and other commercial organisations on outsourcing work, including knowledge process and business process outsourcing, as well as technology outsourcing. Simon has particular experience of outsourcing in the financial services sector. A leading UK art lawyer known for his work on artist's resale right and artistic copyright, Simon's intellectual property work focuses on the commercialisation and licensing of IP in all its forms – patents, know how, trademarks, copyright and designs.